If you are like me you have a very limited knowledge about how to install solar panels in your home. 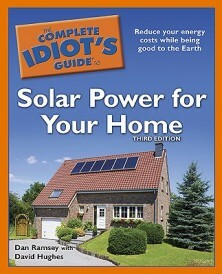 Before I read this book I believed that a solar home power system just required panels on the roof, wires run in to the house and then free power. This guide provides an insightful look in to the implementation and considerations in planning your home solar system. Breakdown of every component you need to start your solar home power system. Cost estimates of each component to help you calculate how much your system will cost. Home energy need estimator worksheet to help you figure out how much power you need. Insightful advice on hiring contractors and solar panel installers and holistic view of building to maximize solar heat and energy. Does not address what to look for in bad photovoltaic (PV) cells, only what makes a good PV. 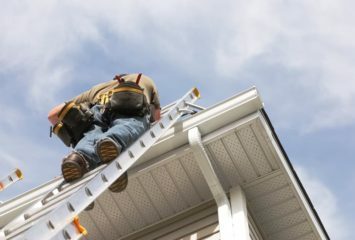 Few tips on preventing fraud and no negative stories/ cases of where solar panels did not work out for the home owner. Few real life examples of what the ideal solar power system for the typical home owner looks like leaving the reader to analyze their own options. Written from a pro solar view point with limited discussion on benefit/ cost of just staying with regular power from the power company. 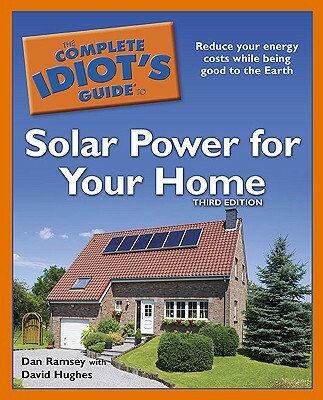 Complete Idiot’s Guide to Solar Power for Your Home (3rd edition) is a great introductory book in to the world of solar home energy systems and energy. Who wrote this book and why should you trust them: Dave Ramsey (real estate agent and author of The Complete Idiot’s Guide to Building Your Own Home), David Hughes (president of Affordable Solar Group at affordable-solar.com), Greg Dunbar (20 years of construction and remodeler experience), and Doug Pratt (solar technical advisor). Written in a easy to understand manner this book contained tons of insightful factoids, diagrams and advice. The beginning flow chart illustration gives you a clear picture of what your total solar power system will look like. The PV cells, Charge controller (device that regulates flow of electricity to the system), Inverter (converts the current created by PV -DC (direct current) in to AC (alternating current) which is electricity your electronics run on), deep cycle batteries (to store that all that power) are all components in diagrams. Dave Ramsey could have stopped there but his comprehensive look at alternative energy also included other applications for solar you might not have thought of. Solar Water heating, running a tank with pipes from the roof to your hot water heater, is a cheap application of reducing your natural gas bill. Who knew you could heat your pool with solar PV, replace your gas grill with solar cookers, or add PV to the top of your boat or RV(recreational vehicles) for mobile electricity. Although very comprehensive there are some other aspects to solar power that are not covered. The book does tell you the best solar photovoltaic cells (PV) made from crystalline silicon (ci-Si), sand that has been refined into solar-grade silicon, doped in boron or phosphorus, encased in a shell, and are 8-20% efficient there is no list of questions to ask a dealers or webpage that reviews PV cited. Unless you ask for technical specifications from the dealer you won’t get that level of detail you need to make a good decision. You can always go for a referral from a friend but you are still at risk of having cells that could be damaged after a few hail storms. The section on hydro and wind power does not cover what to look for in buying a wind turbine or hydro equipment to install but does cover the capacity of these alternative methods and how to evaluate if that stream can generate power. Once last consideration while reading the book is the keep in mind is it is written from a Pro-solar standpoint. 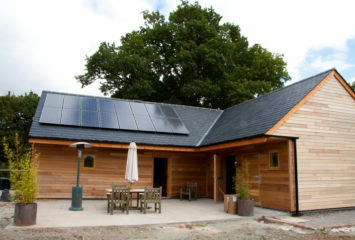 If a solar system costs more than 30%-50% the value of your home to install and takes 15-20 years to recover the savings you may want to consider just continuing to pay the energy company. There are no solar power installations gone wrong stories in the book and since there are so few people have PV you may be hard pressed to find someone who has had a negative install and maintenance. For the complete list of websites listed in the book go to (solarhomeguides.com and be sure to check out David Hughes at Affordable Solar Group for the grid-tie estimator, off grid estimator and other solar energy info. Tomorrow’s new energy economy may not be here today but armed with this knowledge you will get to a sunny carbon footprint future free in no time.